Majnu, Madness and the Magic of Life! The biggest impediment to happiness is non-acceptance of what is. The more we resist Life, the more our unhappiness persists. To love the Life you are given you need the eyes and heart of a lover like Majnu! 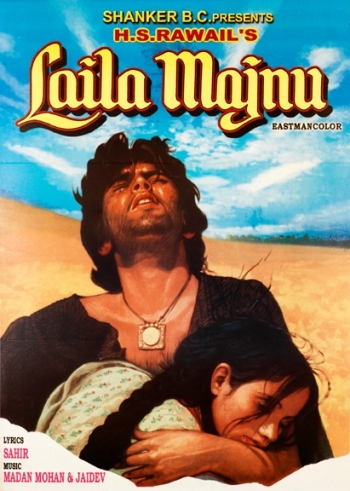 There’s an old Sufi parable, often perceived as a great love story, of Laila and Majnu (made into memorable Hindi films by several filmmakers), that teaches us the power of loving Life for not what it appears to be but what it truly is! Osho, the Master, often used to say it. As the story goes, Majnu fell in love with a woman called Laila who was not beautiful according to others. According to popular opinion she was very ordinary and perhaps ugly too. But Majnuwas mad after her, for her, so mad that the very name of Majnu has become synonymous with madness. He was continuously praying to God, continuously moving around the city asking people for help, because he was a poor man and the woman he had fallen in love with belonged to an aristocratic family. Even to see Lailafrom far away was not easy. It was an Islamic country where the story is set, and in a such a country it is very difficult to see even the face of a woman. Seeing his agony, his anguish, even the king of the land became a little concerned. He sent for Majnu __ he felt great compassion for him. He told him, “I know that woman; that family is well known to me, and if Laila had been a beautiful woman she would have been part of my harem. I have not chosen her __ she is not worth choosing. I have got all the beautiful women from all over the country, and I feel so much for you that I will give you a chance. You can choose any woman from my harem and she will be yours!” So saying, he called the most beautiful women from his harem to his court! Life’s like that. Like Laila. Often appearing to be ordinary, pedestrian, boring, challenging … everything else but beautiful, mesmerizing, fantastic. But there’s great grandeur in its being. And to see it, to feel it, to exult in it, to rejoice, to celebrate, you need to be. Simply be. You need to be like Majnu__ a bit romantic surely, but a lot, lot more fanatic! Such a Majnu-like attitude will arise in you, when you stop resisting Life and start embracing it! Such Majnu-like fanaticism may seem “madness” to people around you! But you, when you just be, and love Life for what it is, through that “madness”, you will be bliss! Author AVIS ViswanathanPosted on April 10, 2013 March 14, 2016 Categories Art of Living, Bliss, Fanatic, http://schemas.google.com/blogger/2008/kind#post, Inner Peace, Intelligent Living, Madness, Magic, MajnuLeave a comment on Majnu, Madness and the Magic of Life!